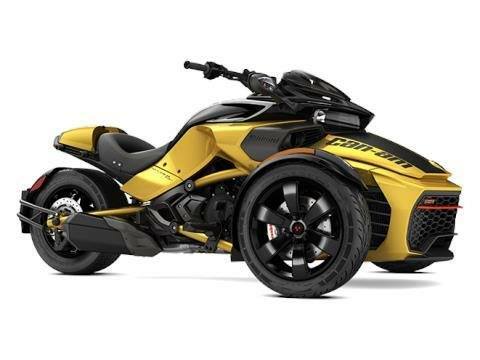 The boldest and sportiest Can-Am Spyder yet, inspired by racing at one of the greatest tracks in history, Daytona International Speedway. Activate the Sport Mode and unleash the fun factor. SPORT MODE: Turn on the Sport Mode and feel your adrenaline surge as you tame twisting roads or perform controlled rear tire spins, all while maintaining your balance and peace of mind. It’s our most permissive stability system setting yet. RACE STYLING: This Daytona Speedway-inspired look will get your adrenaline-surging. Includes a dynamic color scheme, sleek gauge spoiler and seat cowl, and aggressive drag handlebar.